FRA Directors Umair Nadeem and Samantha Hsu recently attended the 13th Annual Forum on the FCPA. The two-day forum highlighted updates on the policy, as well as enforcement priorities. Below, Umair and Samantha share their key insights. Since 2013, 1 in 3 corporate FCPA resolutions have involved monitors. There have been 15 FCPA monitorships announced that have not yet concluded, with the average monitorship lasting 30 months. Updates to Mexico’s National Anti-Corruption System (SNA) led to an enactment of four new laws, as well as amendments to existing ones. Also new for SNA is the Citizen’s Participation Committee. In efforts to maintain transparency, one of the five non-government persons selected for the committee will chair the Coordinating Committee, the group responsible for SNA deployment and coordination at Federal and State levels. Companies operating in and in partnership with Mexico operators will face a few challenges when adapting to these new laws, including adjusting to a new regime, new legal concepts without precedent, and an unpredictable political environment that could influence enforcement. In the LATAM space, there were 4 total LATAM FCPA enforcement actions between 2016 and 2018. New anti-bribery, anti-corruption, and anti-money laundering legislation has been introduced in Peru, Argentina, Uruguay, and Costa Rica. 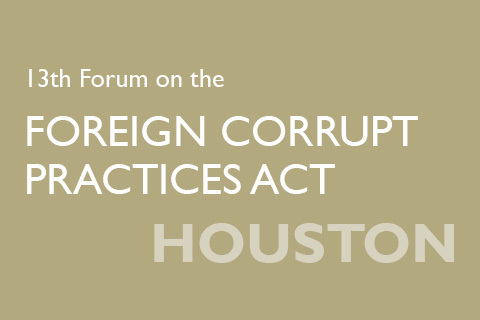 For more information on the FCPA Forum in Houston and future FCPA events, visit their website.